An Old West dungeon crawler that sends you into the mines deep beneath Brimstone, where your Colt rifle and your sixgun are not as important as the posse behind you. Can you return from what lurks in the shadows of Brimstone? Shadows of Brimstone is a fully co-operative board game, with City of the Ancients being the first campaign in the set. Step through portals through other worlds, level up your characters (such as Lawman, Gunslinger, or Saloon Girl) and get new abilities, skills, and gear to fit your play style. 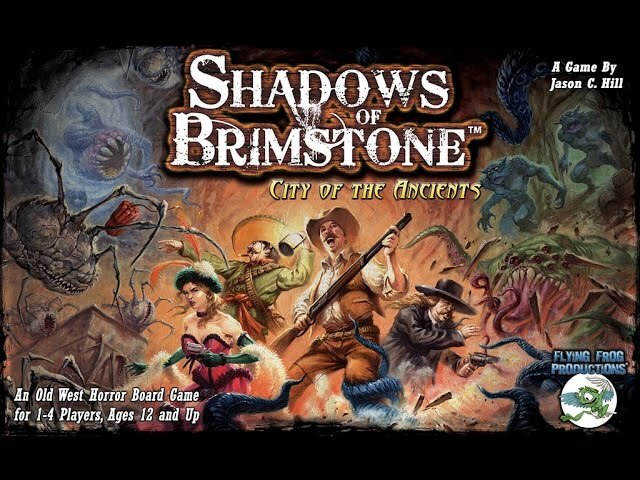 Buy Shadows of Brimstone: City of the Ancients for a fast paced game of action and adventure; a role-playing game in a box.